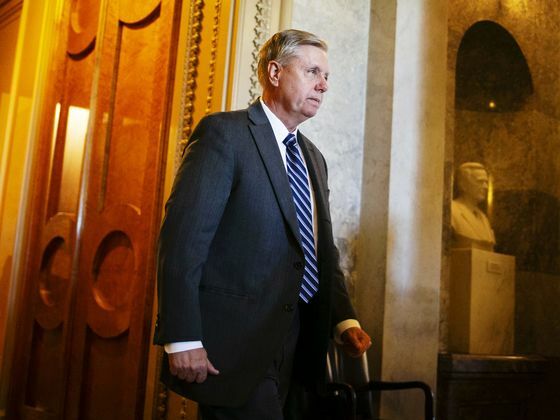 (Bloomberg) -- Republican Senator Lindsey Graham of South Carolina said Sunday he’s working to change U.S. asylum laws for migrants crossing the southern border and would extend the time that children can be held. Graham, an ally of the White House who chairs the Senate Judiciary Committee, is floating the changes as President Donald Trump has again increased his rhetoric around immigration as a cudgel against his political enemies. Trump is considering relocating migrants to so-called sanctuary cities, his press secretary, Sarah Huckabee Sanders, confirmed Sunday. In addition to changing a court settlement that prevents children from being held for more than 20 days because “it’s impossible to do a hearing” in that time, Graham said on Fox News’s “Sunday Morning Futures” that his proposal would also allow the U.S. to send children back to Central American countries and change the standards for claiming immigration because so few of those who seek the status are approved. Graham said he was already working with the White House as well as Senate Homeland Security Committee Chairman Ron Johnson. Once he has an agreement with them, Graham would bring in Democrats, he said, adding that the legislation would go through his committee. Despite Republican control of the Senate, the chamber’s rules would require that some Democrats join Graham’s efforts for the bill to pass, a bar he failed to clear with prior reform attempts. In addition, the Democratic-led House has often split from the Senate on immigration-related issues under Trump. The White House is said to a believe a series of policy changes would reduce migration from Central America -- and that the leadership of the Department of Homeland Security, which Trump recently purged, had been holding the shifts back. That includes more rigorous vetting of asylum claims as well as a new regulation, called “binary choice,” that would give migrant parents detained after crossing the border the choice of surrendering their children to relatives, other caregivers or government-contracted shelters, or be detained together in Immigration and Customs Enforcement facilities indefinitely. It’s an effort to circumvent the decades-old Flores settlement, which limits detention of migrant children and has led to a practice Trump derides as “catch and release,” in which migrant families are generally given a court date and released from custody soon after their apprehensions.